participation in a proposed downstream lithium chemicals facility in the rapidly growing South Korean market. 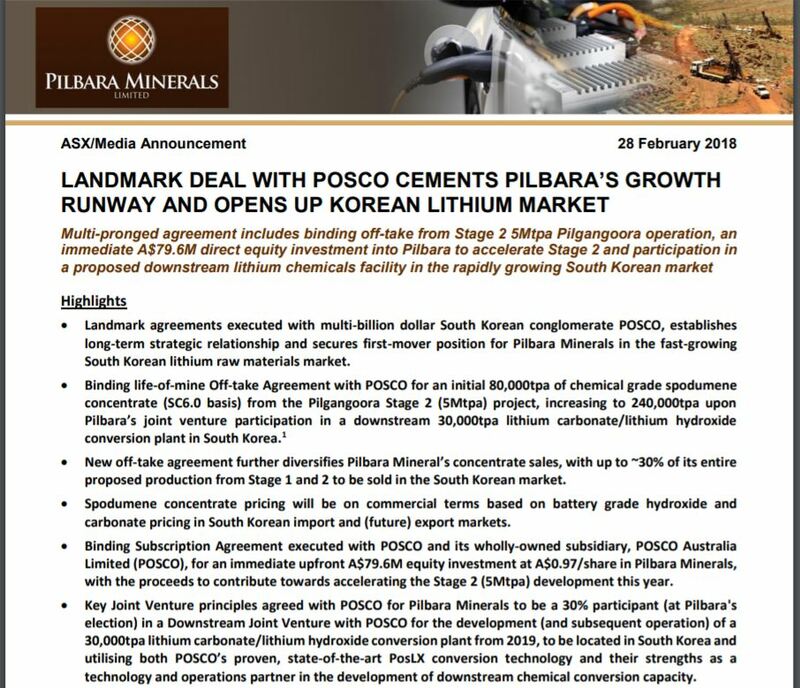 The relationship is significant for both POSCO and Pilbara. For POSCO, it represents the first direct investment by a South Korean manufacturer of lithium-ion battery materials into an upstream supplier of spodumene concentrate, facilitating the further commercialisation of its proven PosLX extraction technology. For Pilbara Minerals, the relationship marks an important strategic expansion into North Asia, diversifying its customer base outside of the Chinese market and further expanding its global network of Tier 1 strategic partners to support its growth objectives to become a leading global supplier of lithium raw materials. The AKBC has a strong relationship with POSCO, as the CEO of POSCO Dr Kwon Ohjoon is the Chairman of AKBC’s counterpart, the Korea-Australia Business Council.